Exclusively Ours! Lead & Nickel Free!! 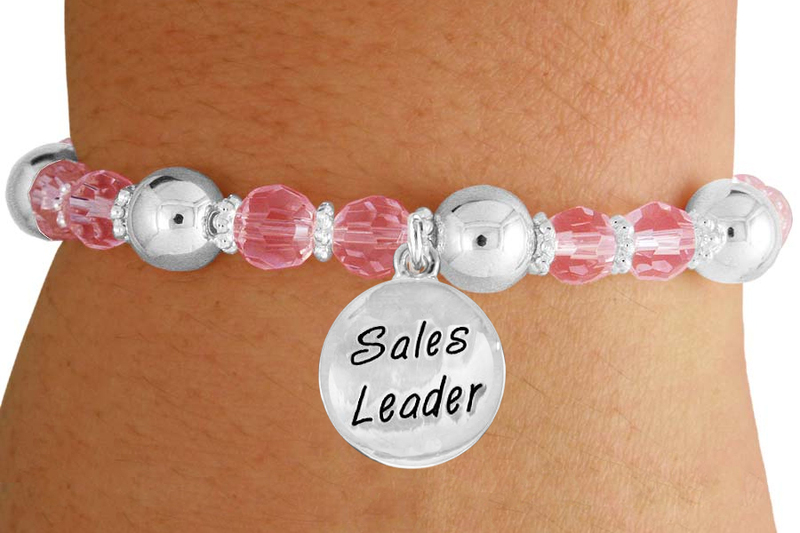 Silver Tone "Sales Leader" Disk Charm Comes On A Beautiful Stretch Bracelet, Made Of Silver Tone And Light Pink Faceted Beads With Silver Tone Spacers.